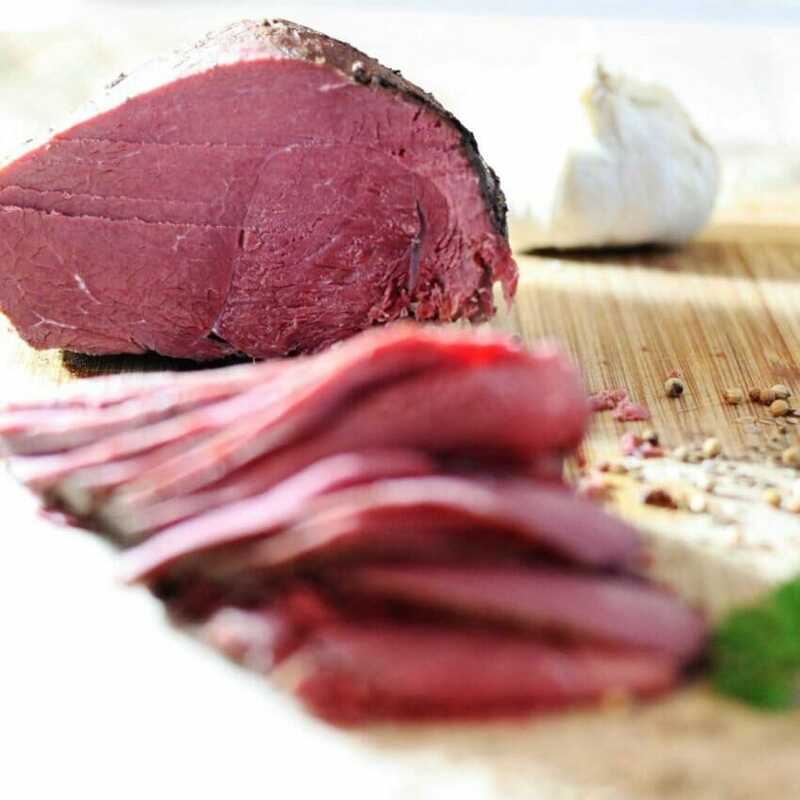 Venison is a tasty meat – and few things are as satisfying as cooking a piece of meat you’ve hunted yourself. The only problem with deer, however, is that it tends to be lean and tough – and few cuts of venison are tender enough for regular grilling. That means, however, that venison is a prime candidate for good, old-fashioned slow cooking. Slow-cooking gives the usually lean-and-tough venison time to soften and tenderize, and done right, turns what might have otherwise been a chewy and unpalatable cut into something tender and enjoyable. For example, we’ll look at – and cook – a venison brisket. As with a beef brisket, a venison brisket comes from the deer’s lower chest muscles, which are lean, strong and chock full of connective tissue (collagen) and not a lot of fat. It’s stringy and a perfect candidate for both cooking in stews and slow-cooking. If you just sliced a brisket up and tried to sear it on the grill or on the stove, you wouldn’t get far. First, brisket can be a pain to slice through without using a good knife for cutting brisket. And it would turn out dry, tough and way too chewy to enjoy, anyway. Venison brisket needs to be slow-cooked. This can be done in both a traditional slow-cooker and in the oven. Here’s how. Before you start slow-cooking your brisket, you need to put in just a few minutes of prep work; the large fat pad on the outside of the brisket needs to be trimmed away. You can do this by grapping a good knife for brisket, and carefully slicing away. You likely won’t be able to remove all of it from the top of the meat, but that’s not a big deal; it’ll come off once it’s been slow-cooked properly. When making a venison brisket, you have a couple of choices: you can season it with just salt, pepper and few other spices (the easy way) or marinade it (the hard way). Marinating requires thinking ahead at least 24 hours. The easy way includes simply seasoning it liberally with salt and pepper, and maybe a bit of onion powder, paprika or cumin, as desired, and letting it sit for 10 minutes to an hour. Then you’re ready to go. If marinating, you place the meat in the marinate the day before, in a zip-loc bag, and then let it sit in there until ready to cook the next day. 24 hours is standard. This is easy; simply pop the brisket into your slow-cooker or Crock-Pot, toss in some sliced onions and a few tablespoons of butter for flavor, and turn that thing on. Cook times differ by cooker, but generally, a 3-6-pound venison brisket will take 4-6 hours on High and 6-8 on Low. The texture of venison brisket from the slow-cooker will resemble something most like pulled pork or beef stew. Place Brisket in a Large Sauce Pan. Place in Oven and Cook for 3-4 hours until tender. When done, remove from oven and cover with foil. Let rest for 30-60 minutes.